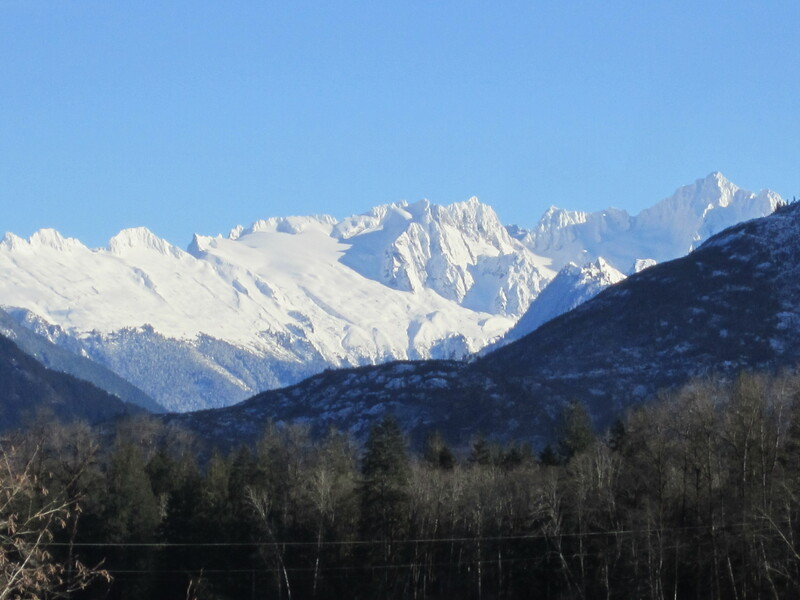 What a perfect weekend to be out on the Upper Skagit. Despite a dreary and/or cold looking forecast, we found the weather to be pleasant and the eagles plentiful. Rockport was a hot spot!! 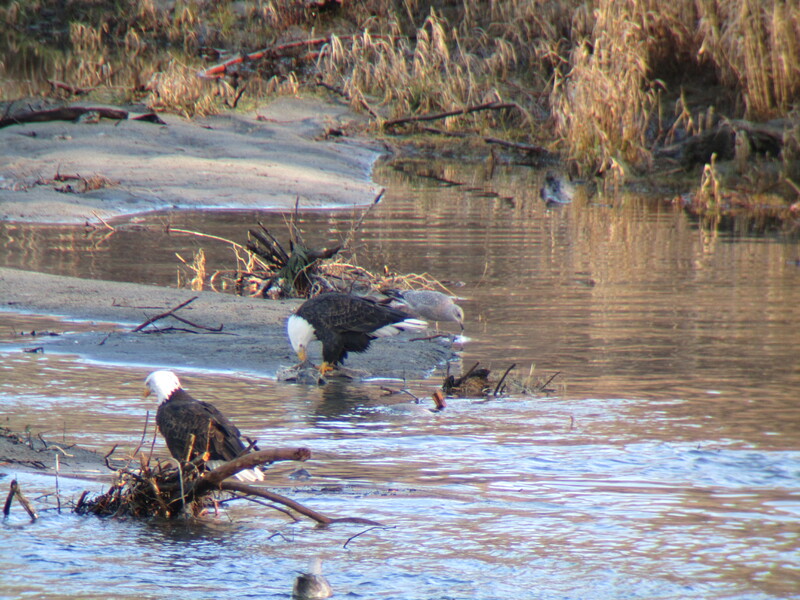 Right across from the 530 bridge at Howard Miller, eagles spent the whole day pulling salmon carcasses out of the water and eating. What a show in the scope! Not many visitors were around to see it – hopefully we will get more humans next Sunday. The birds in the previous pictures are visible toward the bottom of this shot I took from the bridge. 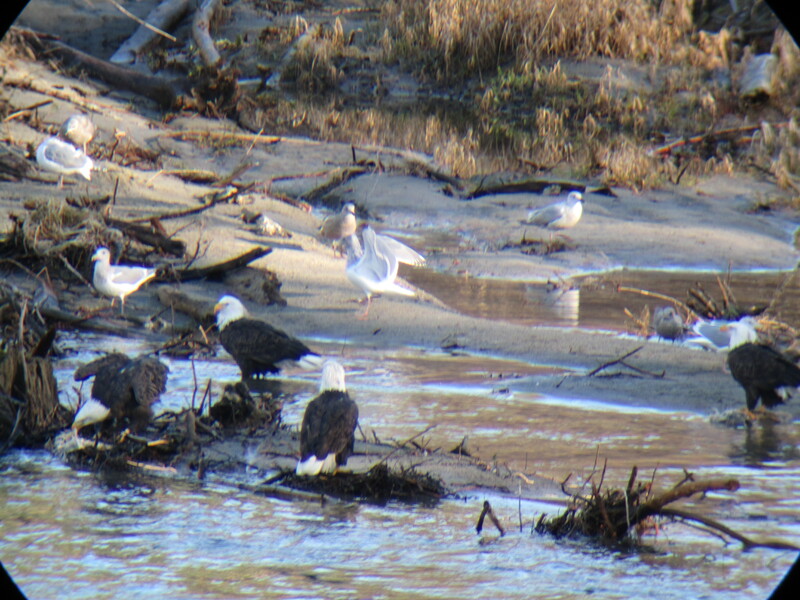 Other highlights of the weekend included gulls kettling together with the eagles and a peregrine falcon sighting. There are still coho in Clark Creek and steelhead in the river (maybe.) 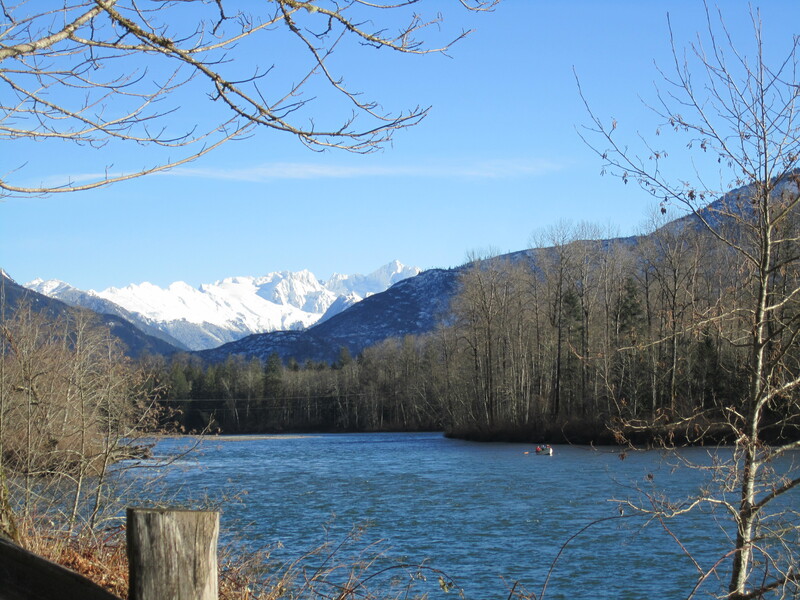 Lots of anglers out in the Skagit – I heard folks were catching Dolly Vardens. The rafting companies were taking out boatloads of happy people, bundled up with binoculars in hand. Come on up! 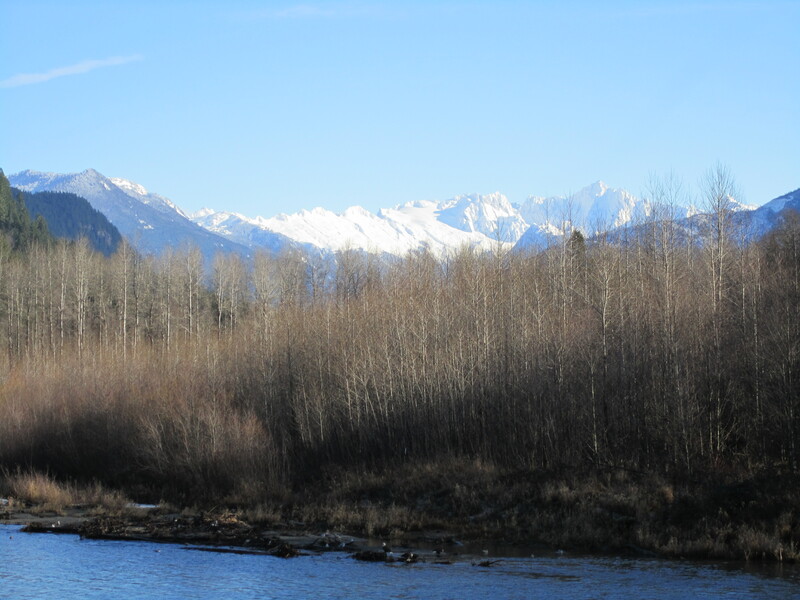 The time is prime for eagle watching on the Skagit.